Have you heard about the latest blurring of lines between online purchases from Amazon and the bricks and mortar world of retailing? 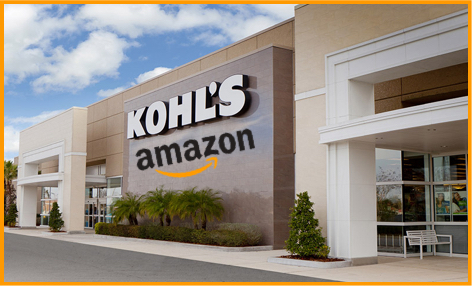 Starting this month, Kohl’s has announced that customers will be able to use 82 of their locations for BARIS — my term for Buy from Amazon, Return in Store. Ten Kohl’s stores in these cities will also offer Amazon gadgets such as Kindles and Fire tablets, as well as accessories and smart home products like the Echo speaker. These 1,000 square foot “smart home spaces” will be staffed by Amazon sales associates. This store-within-a-store concept is of course not new. Department stores have been leasing space to outside vendors for many years, especially in the cosmetics fields. But the idea of taking another business’s returns for them must be unique. As Shannon Liao says in the blog The Verge, ”[this] move is Kohl’s allying itself with the e-commerce giant as analysts fear that Amazon will swallow up retail stores, especially after it made a successful transition into the groceries industry with the Whole Foods acquisition.” While Kohl’s taking Amazon returns may not immediately impact independent retailers, any action by this giant competitor bears watching. We don’t want to see real stores reduced to just a place to ship back unwanted Amazon purchases.